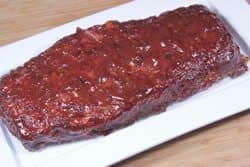 Over the years we have posted several recipes for smoked meatloaf and, of course, the accolades just pour in and especially from those who have just tried it and realize that it is really good. Now we've gone back to the drawing board to create a smoked meatloaf that's better than ever. After writing out the steps, I realized that it looks complicated at first glance. It's actually easy in spite of how it looks. 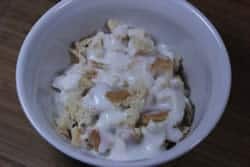 You will notice below that I used 3 bowls to combine ingredients. It's just the way I chose to do it. 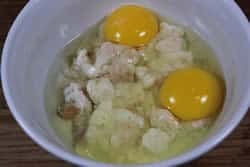 If you want to add everything to the same large mixing bowl and then combine once you're done adding, that will work just as well. 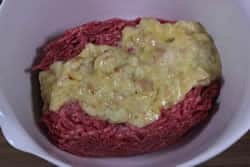 Most recipes for meatloaf will have you add all sorts of spices to season the meatloaf and even some ketchup. 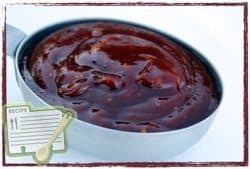 In this recipe, we are using Jeff's rub to season the mixture, Jeff's barbecue sauce to give it that wonderful tangy flavor and then we are brushing on more of Jeff's barbecue sauce to the top and sides when it's almost done. 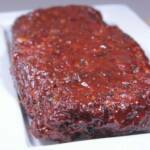 Just when you thought smoked meatloaf couldn't get any better! 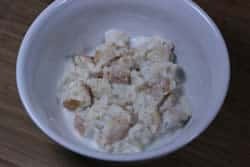 With the bread in a small bowl, pour ½ cup of buttermilk over the bread. The bread will soak up the buttermilk and this will be part of what makes the meatloaf so moist. 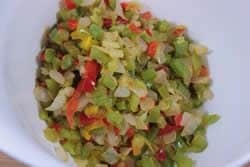 Cooked vegetables release more moisture, are more tender and tend to be sweeter. Thus we will sauté them before use. 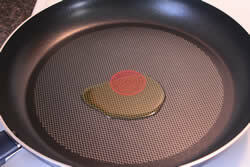 Pour 2-3 TBS of olive oil into a skillet over medium heat. 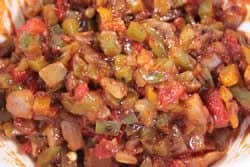 Add 1/4 cup of Jeff's barbecue sauce and 3 TBS of Jeff's rub (purchase recipes here) to the sautéed vegetables. Stir to combine. Do not overmix. Do just enough to combine and then stop. Overworking the meatloaf mixture will make it tough. You will notice that this mixture may be a little wetter than what you are used to using but that's ok. It will form and hold together just fine. I kept the Bradley rack over a pan until I got out to the smoker to make sure I did not drop anything. I used the same method for bringing it in once it was finished. Keep a light smoke going for at least 2 hours. 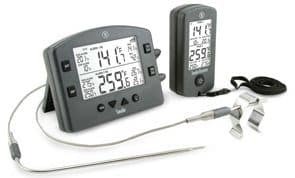 Use a digital probe meat thermometer such as the “Smoke” by Thermoworks to monitor the temperature of the meatloaf while it cooks. 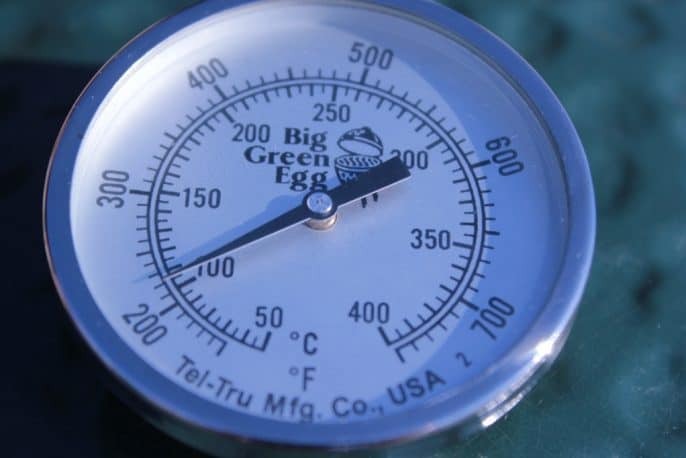 Note: total time will depend on thickness of loaf, temperature of smoker and how often the door/lid is opened. 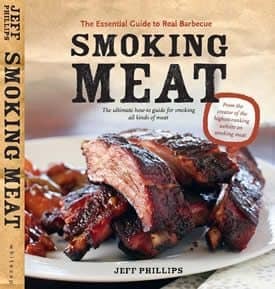 At about 155°F, brush the top and sides of the meatloaf with plenty of Jeff's barbecue sauce (purchase recipes here). Give it about 25-30 minutes to caramelize then remove from the smoker. 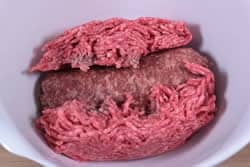 Finish temperature for ground beef is actually 160°F but knowing that it will continue to cook and rise in temperature even after being removed from the smoker, it is ok to remove it a few degrees early. After resting, slice and serve. I moved mine to a nice platter and sliced at the table. Soaking the bread in milk before adding it to the meatloaf does a great job of helping the meat to be moist. I chose buttermilk for a richer flavor. 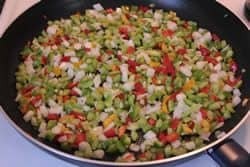 Sautéing the vegetables makes them a little softer at the front end and helps the meatloaf to end up more moist. Making sure to remove the meatloaf at or just slightly before 160°F will ensure that it safe to eat but not dried out at all. Do not overmix the meat. 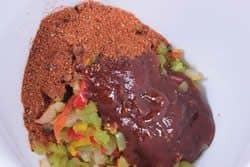 It is easy to overwork the meat trying to get a perfect balance of ingredients throughout the loaf but it is best to just mix as little as possible. Mixing the non-meat ingredients first then adding them to the meat helps to minimize the mixing process. 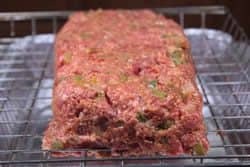 Cook the meatloaf sitting on a sheet pan, bradley rack or even a wooden plank instead of leaving it in a loaf pan. Letting it sit in juices, grease, etc. does not bring great results. 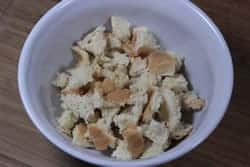 If you are worried about it being salty enough or overly salty/seasoned, fry a teaspoon of the mixture in a skillet and taste it before proceeding to form the loaf. 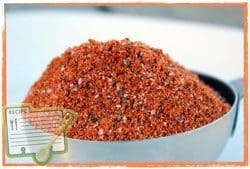 This takes mere minutes and you will know exactly how well the meat is seasoned and/or if it needs a little extra salt. 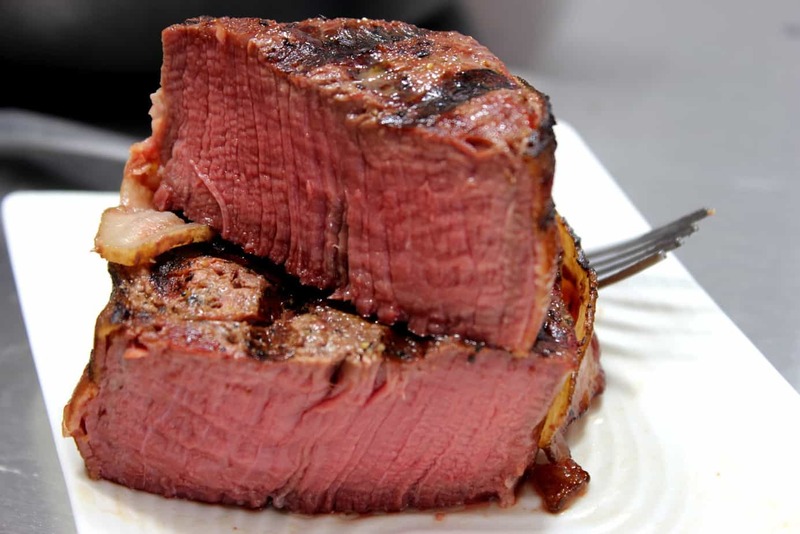 Let the meat rest before slicing into it. We do this for many meats that we cook to allow the juices to settle back into the meat before cutting it open to minimize moisture loss. If you are using a cookie sheet, I recommend an old one with holes drilled in the bottom to allow the juices to escape. Setting a foil pan with water below the meatloaf will give the drippings a place to safely fall and keep your smoker clean. 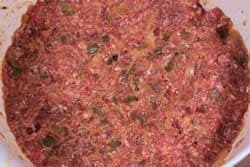 Over the years we have posted several recipes for smoked meatloaf and, of course, the accolades just pour in and especially from those how have just tried it and realize that it is really good. Now we’ve gone back to the drawing board to create a smoked meatloaf that’s better than ever. 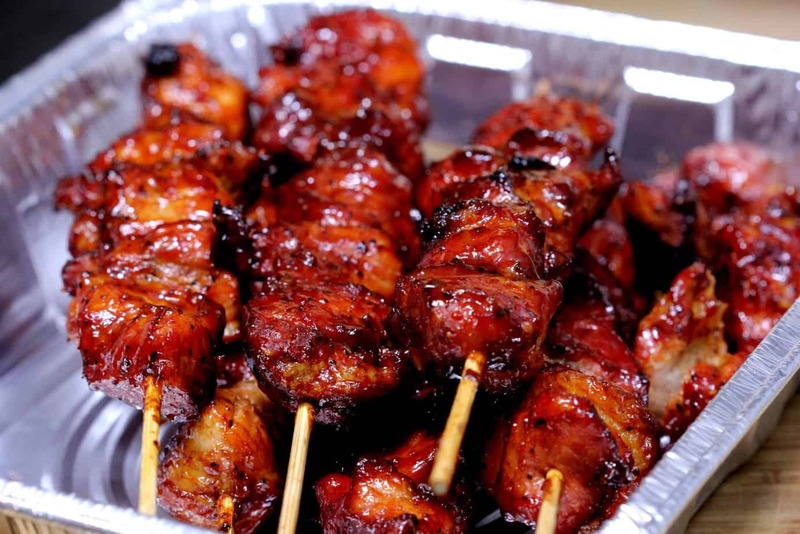 Add ½ cup of Jeff's barbecue sauce and 3 TBS of Jeff's rub to the sautéed vegetables. Stir to combine. 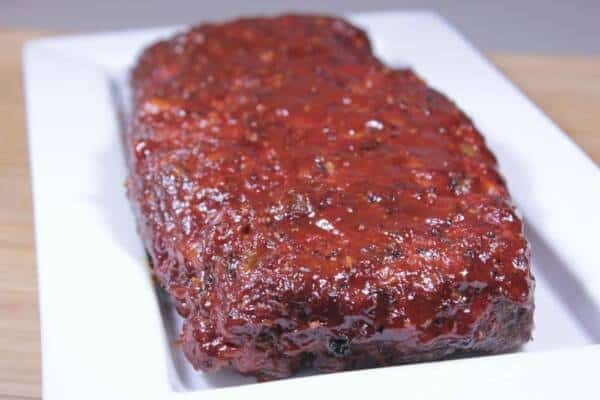 At about 155°F, brush the top and sides of the meatloaf with plenty of Jeff's barbecue sauce. Give it about 25-30 minutes to caramelize then remove from the smoker. 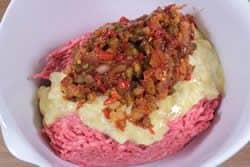 This really is the best meatloaf I have ever tasted. I changed one thing, we used half breakfast sausage and half venison sausage that we made recently. I cant wait to invite people over and make another one. 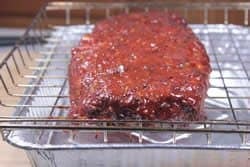 This smoked meatloaf recipe is so good, I wanted to share it with friends. I started making the recipe into smoked meatballs for parties. Everytime they are gobbled up and get rave reviews. Okay I’ve got a question. 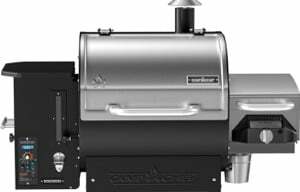 I’ve got an electric smoker which I absolutely love. 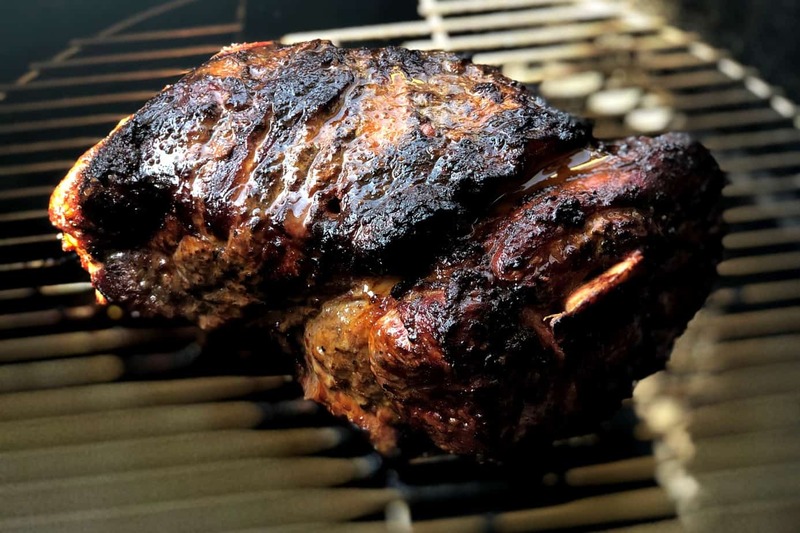 It smokes at a constant 195 degrees Fahrenheit. 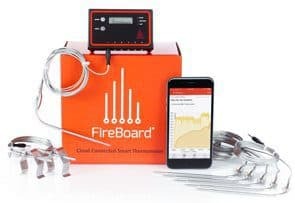 Can a person smoke a meatloaf at that temperature without it keeping or generating any harmful bacteria? I’d love to try this recipe but everything I’ve read shows anywhere from 225 to 250 degrees. I’d really appreciate some insight on this. Thanks! I have made this twice and the flavor is awesome. My only issue is that it is so wet it does not hold it shape well. It tends to spread out on the smoker. Is there something to make it hold its shape better without losing the moisture? I’ve made this twice now. 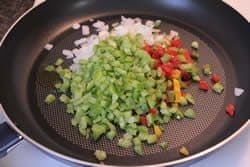 I used just onion (one medium) and half a dozen cloves of garlic instead of the peppers and celery. I used plain ground pork instead of breakfast sausage, although that (or Italian sausage) would probably be really good too. It came out great both times, it’s a keeper. 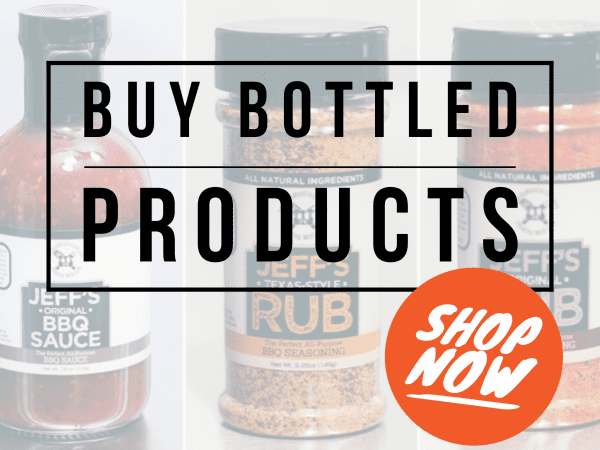 I recently purchased Jeff’s rub and sauce and decided on trying it out on the new and improved meatloaf. Well let me tell you something – my wife said that the meatloaf making is now in my hands. 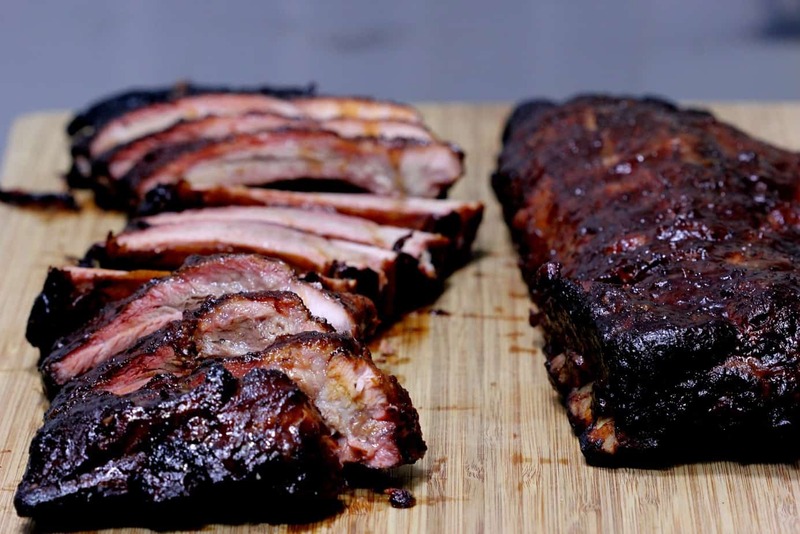 We both thought the recipe was fantastic and can’t wait to try the rubs on my next batch of baby backs. 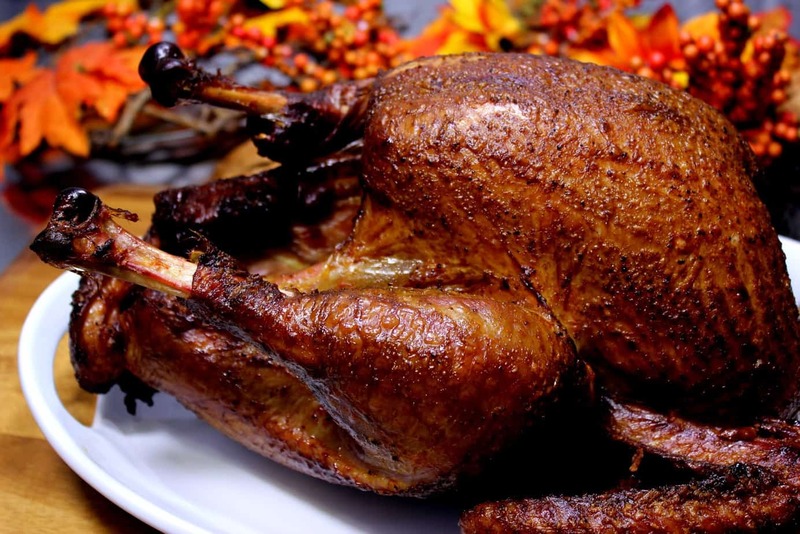 Has anyone tried the rub on a smoked turkey? 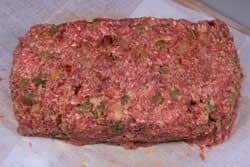 Made this meatloaf recipe, as written, excellent!!! Rave reviews from all that tasted it! 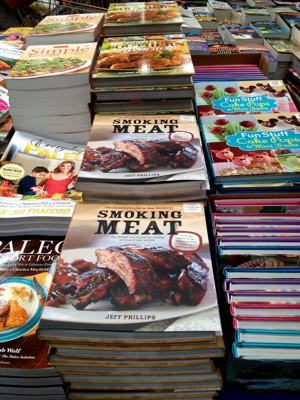 Jeff’s rub and sauce recipes are must haves as is his “Smoking Meat Cookbook”. Everything we have smoked, using his recipes, has been a success! Tried this yesterday. My fans say it was the best yet! Great recipe. Did Jeff’s smoked mac and cheese along with it. Great everytime as well. 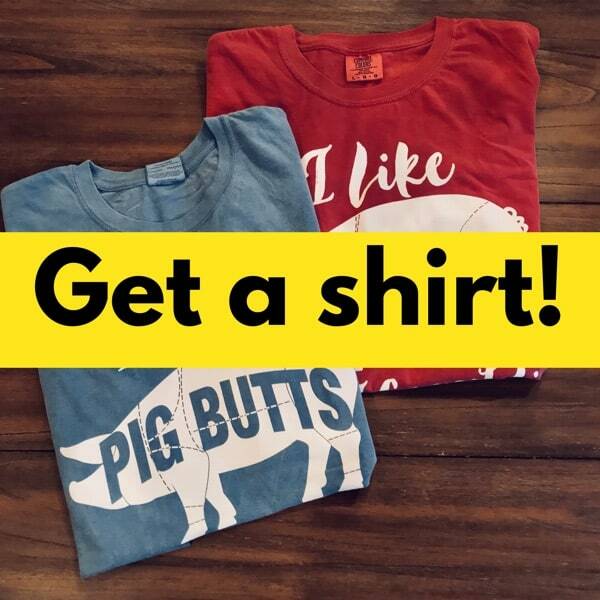 Love the new ideas every week. Thanks! Excellent recipe. I used ground pork and homemade kielbasa sausage.